It goes almost without saying that one of the easiest ways to look and feel like a million dollars is to slip on the right pair of high heels. Heels add height, encourage you to walk with grace, and add the perfect touch of elegance to just about any look. However, loving high heels for the way they make you look is easy. Enduring the discomfort that’s also often part of the equation is a little tougher. Thankfully, it’s a common misconception that all high heels are uncomfortable pretty much all of the time. It’s definitely possible to find awesome options that feel as good as they look if you know what to look for. 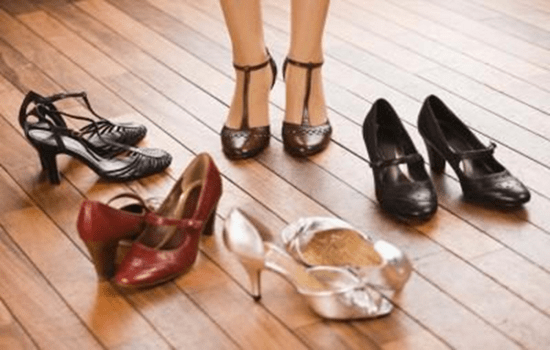 Keep your feet happy and fashionable by considering the following tips the next time you’re in the market for a great pair of heels. 1. Make sure the shoe truly fits you. Any type of shoe can be uncomfortable if it doesn’t really fit you properly, but this is especially the case for high heels. The higher the heel, the more pressure the sole of your foot has to deal with and the more likely you are to experience serious foot pain as a result. You already know how painful a too-small pair of heels can be, but heels that are too big pose just as much of a problem. High-heeled shoes that are too long or too wide will allow your foot to shift around inside as you walk, leading to even more discomfort. You can avoid this by making sure your feet are properly measured for both length and width so you can choose your footwear accordingly. When it comes to heels, some styles may be better fits for your particular foot than others. 2. Balance extreme height with other features. 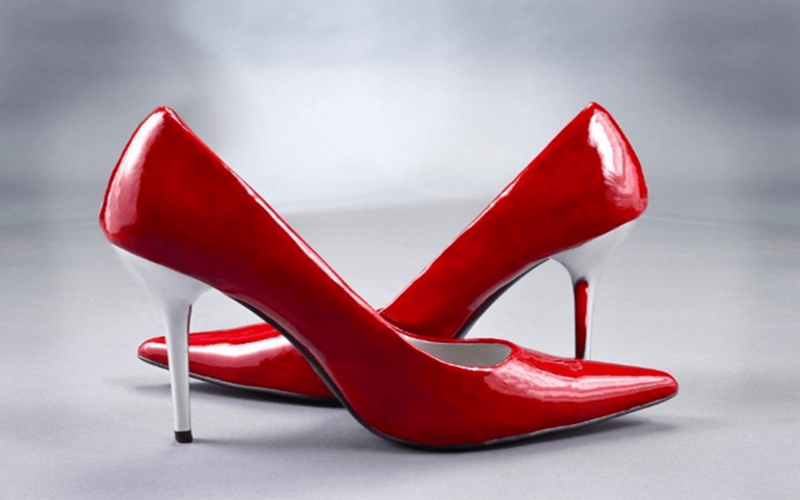 One of the most common issues with high heels is pain in the ball of the foot. The higher the heels, the greater the stress placed on this particular area. Women who make it a point to wear sky-high heels often can develop chronic knee, ankle, and back pain. Naturally, the best solution would be to avoid very high heels altogether, but that’s naturally a no-go for ladies who are totally in love with their favorite four-inchers. The next time you’ve got your heart set on a new pair of ultra-high heels, look for other features that can help offset some of the stress caused by the height. Thicker soles underneath the ball of the foot not only add more height but help provide additional cushioning. Also look for heels that are chunkier, as well as positioned toward the back of the shoe. These are a lot more stable and a lot less likely to leave you wincing in pain at the end of the day. For example, this black Mary Jane features both a block heel and a platform sole, so it’s just as foot-friendly as it is high. 3. Make sure your choice offers your foot enough coverage. Extreme height isn’t the only thing that can make a particular pair of heels painful to wear. You’ll also want to be careful when shopping for very open, strappy styles. The less overall coverage a shoe provides your foot, the less supportive it’s likely to be. Less support means a higher likelihood of pain and discomfort. Heels that rely on nothing more than a couple of slender straps to hold them in place leave you especially prone to injuries like sprains as well. If happy, healthy feet are your ultimate goal, you’ll want to save super strappy, less practical footwear for days you don’t plan on spending much time standing or walking. Instead, opt for styles that fit the entire shape of your foot well. In the fall and winter, a high-heeled boot is a stellar option. During the warmer months, when strappy is an absolute must, look for picks that feature multiple straps across the arches, ankles, and toes for added stability. 4. Choose wider toe boxes whenever possible. Even the most dedicated fashionista can probably remember a time she noticed a pair of super high heels with very pointy toes at her favorite shoe store and thought: “Those are cute, but they’d just kill my feet.” That’s because pointy, tiny toe boxes really don’t leave room for your feet—definitely a recipe for foot pain. Often, shoes with tiny toe boxes also have coverage issues. Try passing on the pointy toes in favor of bigger, rounder toe boxes like the ones on this stylish pair of memory foam heels from Bernie Mev. Not only does this allow your tootsies a lot more room to exist as nature intended, but they provide much better coverage for your foot as well. 5. Pay attention to what the soles are made of. Comfort isn’t just about whether the soles of your shoe offer your foot enough support. You also want to pay attention to the material they’re made from. Soles and shoe bottoms made of very rigid materials like wood or plastic have little to no give, so they don’t do much to absorb shock. Walking or standing in them for any period of time is bound to leave you limping at the end of the day for that reason. Softer materials with more flexibility (i.e., leather or rubber) cushion your feet against repeated shock when you’re walking on rigid surfaces like cement or hardwood flooring. They also help you avoid injury by helping your feet adjust to any inconsistencies in the ground, as well as by making it harder to slip. Now you know why that one stylish friend of yours miraculously seems to be able to wear her heels all day long without once wincing in pain. She’s likely a savvy shopper who knows what makes the difference between a perfect fit and a potential living nightmare. Take a cue or two from her book the next time you shop for heels—and step out in comfort!